We are happy to announce that our work has been carefully reviewed by the editorial team at the Waterbirds® Journal, and we are now listed on their Author Services website. For all Waterbirds® authors, we will provide FREE abstract editing with a full editing order and a 15% discount off all of our services (editing, translation, illustration, formatting)! 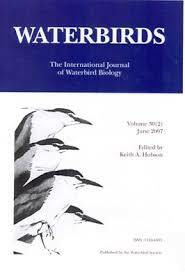 Waterbirds® is the International Journal of Waterbird Biology. We at Falcon Scientific Editing are looking forward to helping Waterbirds® authors who seek assistance in editing, translating, or formatting their manuscripts. Please note that Waterbirds® does not endorse any writing/editing services.